FONA is a strategic development organisation whose solutions are designed to be pragmatic and deliver long term impact. We help communities, business, government and philanthropists be more effective by developing better strategies for collaboration on international development. Our programs are selected in areas such as education, leadership, heritage and infrastructure that are vital to shaping the direction of societies to meaningfully participate in a global economy. A world where all people are recognised as equals and have played to their strengths to become strong societies and economies. We design, drive and influence models, policies and initiatives that empower developing communities to create their own thriving future. We seek out the competitive advantages of communities in which we work, and leverage them. Our approach is to consider a community as a whole and identify capabilities and assets that enable delivery of results in a sustainable manner. Our goal is not only to find best practice, but to create it through our thought leadership and strategic partnerships. We connect the dots. We connect global ideas with local initiative, and local wisdom with global actors. We promote diversity because we believe that breakthrough ideas often result from the work of diverse teams, ideas and partners seeking to creatively solve challenges. Is the foundation of our approach. A partnership perspective guides all our relationships with partners and investors. We take a long term view on relationships and seek to build bonds based on respect, honesty, shared value and mutual support. We don’t simply generate ideas or plans, our work must lead directly to people taking action and doing things in new ways. We identify best practice, connect it to the context, then design, implement and influence models, policies and initiatives to create impact at scale. All our decisions are based on evidence and we measure and evaluate them. We foster trust and transparency in working relationships. We always maintain accountability to donors and stakeholders and deliver outcomes as stipulated. FONA began as a philanthropic organisation responding to the disaster of the 2015 earthquakes in Nepal, with individual donations and an endowment from a Nepali born Australian, Amit Jung Thapa, and his wife Sarah Thapa. Since then, FONA has gone on to become an international organisation with over 13,000 members worldwide, bringing on board partners from the private sector and academia to develop innovative and influential models to drive positive change. FONA recognised it had the unique cultural insights and deep and historical connections to Nepal to play a strategic role and bring new ideas that would help shape the future development of the country. 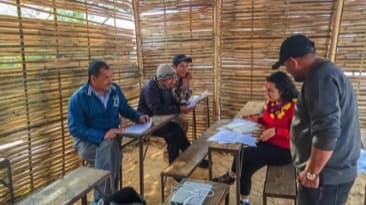 We had the capacity through our leadership team to leverage and partner with the best minds from the private sector, NGOs, investors and public institutions to develop practical models that could be piloted and then replicated at scale in Nepal and beyond. We saw a need to approach things differently. Our core philosophy was that people regardless of geographical location or socio-economic status should have access to quality solutions. We saw aid agencies implementing rapid but low quality and intangible projects, putting at risk some of the most important assets that Nepal has - such as its cultural heritage, its natural beauty, and its people. We did not want to see Nepal convert into a shanty town nation which would further propel its people abroad to seek better opportunities. Read more about our model here. 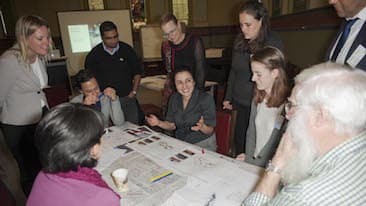 Already, FONA is helping to influence public policy and approaches to international development particularly by charities and non-profit organisations, through its collaborative and whole systems approach. We are rigorous in obtaining the best available ideas and evidence - read more about the academic experts with whom we partner here - and devising actionable solutions. And we are practical in articulating what governments and development agencies should do to make improvements or introduce new approaches which will unlock greater potential and long term impact. 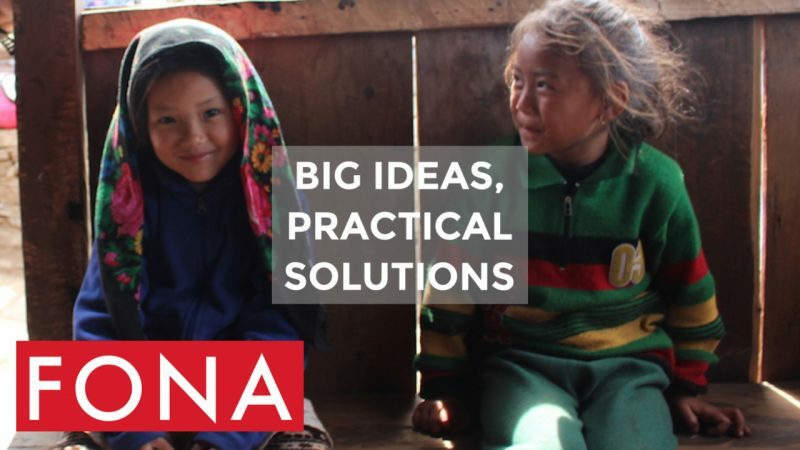 FONA selects programs in areas such as education, leadership, heritage and infrastructure that are vital to shaping the direction of societies to meaningfully participate in a global economy.